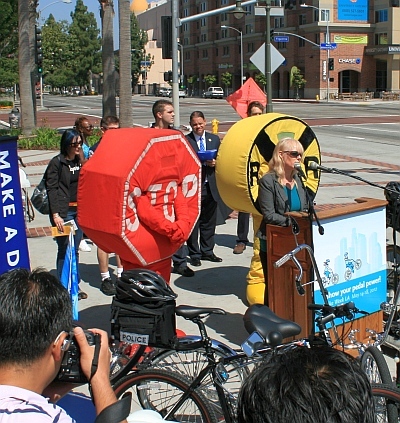 » launch of Bike Week LA Ride South L.A.
Today we joined Metro’s kickoff event for Bike Week at USC’s Galen Center. Below are some pictures. 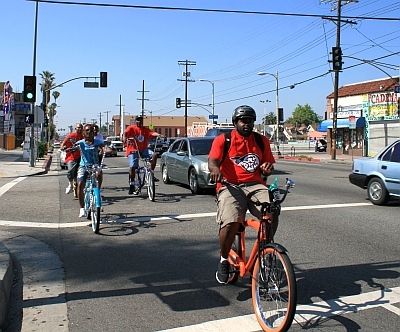 It was a great chance to highlight biking in South LA, with a prominent presence for groups from the East Side Riders, to the Real Rydaz, to TRUST South LA and ParTour. 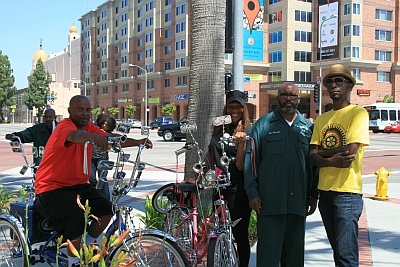 Of course, we handed out copies of our new Ride South LA “Watts Ride” map. 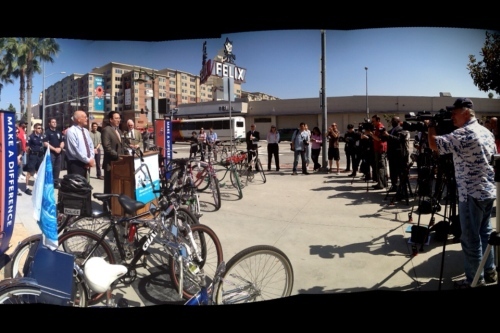 …It was great to see 4+ TV cameras covering the event. 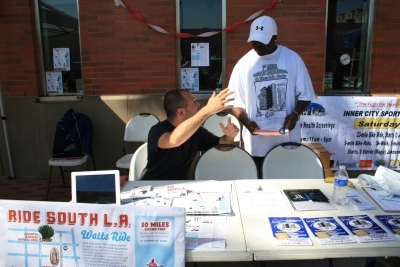 Here’s Garrett Broad of the Metamorphosis Project showing off the Ride South LA maps. As always, we’re building partnerships — here with the good folks at the Inner City Sports Festival and Health Fair.